Wild Black Cherry (Prunus serotina) with leaf miner damage. 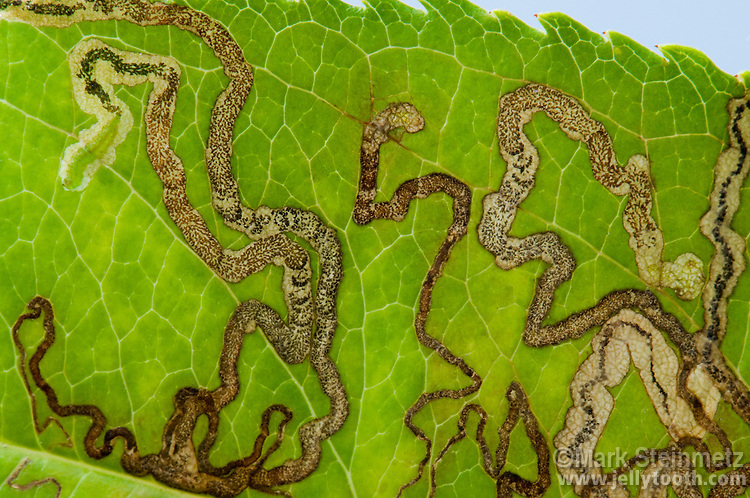 The leaf miner larvae, which feed between different layers of the leaf, form squiggly serpentine mines. A miner larva can be seen in the upper left of this image.